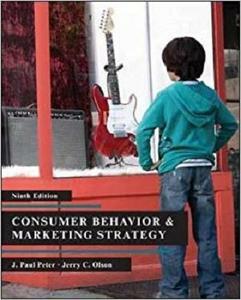 This book takes a strategic look at consumer behavior in order to guide successful marketing activities. The Wheel of Consumer Analysis is the organizing factor in the book. The four major parts of the wheel are consumer affect and cognition, consumer behavior, consumer environment, and marketing strategy. Each of these components is the topic of one of the four major sections in the book.